To celebrate ten years as a publication, HODINKEE has teamed up with OMEGA for a limited-edition commemorative Speedmaster. 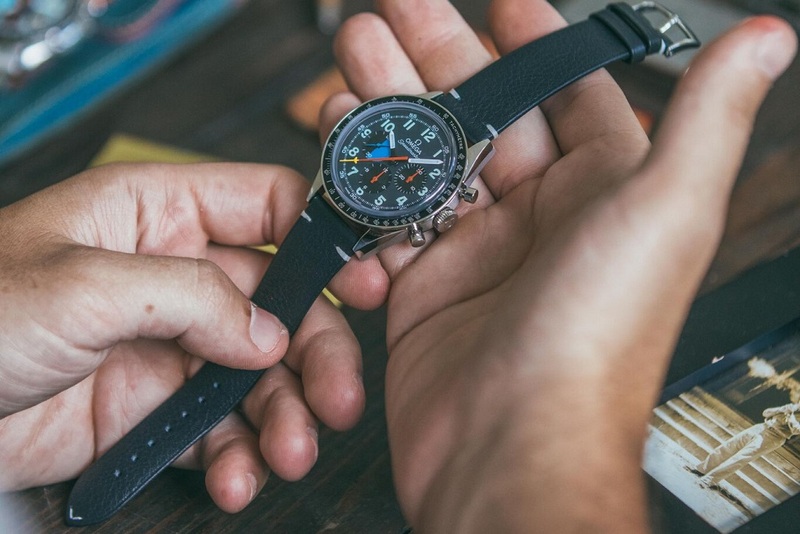 Notably, HODINKEE and OMEGA’s Speedmaster collaboration pays tribute to the OMEGA Speedmaster Mark 40, the same timepiece that motivated HODINKEE founder Ben Clymer to launch the media outlet known as the “world’s leading wristwatch publication.” The watch features a stainless-steel case, blue/grey strap, black aluminum bezel and the Speedmaster’s signature tachymeter scale. It is driven by the renowned OMEGA Calibre 1861, and features “HODINKEE” and “10th Anniversary” engravings. The HODINKEE and OMEGA Speedmaster is limited to only 500 pieces and is set to retail for $6,500 USD. The watch will be sold exclusively through OMEGA boutiques and the HODINKEE shop. Deliveries will begin in November. For more, check out OMEGA’s denim-inspired Railmaster. A neon expression informed by football style codes. More tunes for your head top. Dizzee Rascal & Skepta Connect for New 'Don't Gas Me' Single "Money Right"
Two UK icons from different eras collide. Directed by Jack Begert and Sam Canter.